We are offering precision-engineered Mild & Carbon Steel Plates. 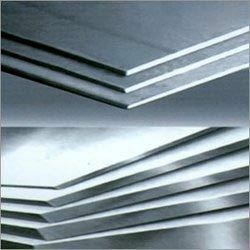 Our Mild & Carbon Steel Plates have high tensile strength which makes them widely demanded in different applications. The grades in which we offer our Mild & Carbon Steel Plates are ASTM A36, S275JR and IS-2062 GR. A / B, Fe 410WA, Fe 410WB. Our Mild & Carbon Steel Plates are offered as per the specifications required by the clients.